Great hunting grounds for Diederick Kraaijeveld in Detroit. With urban explorer and guide Dan and Dutch cameraman Gideon Elings he was able to salvage beautiful pieces of wood for his 'Icons of Hope'. 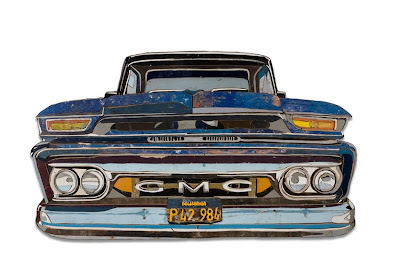 Kraaijeveld builds pieces out of originally colored found wood. 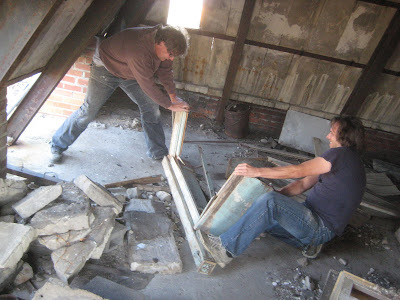 'An abandoned fire station proved very resourceful', Kraaijeveld tells us, ' I found nice red painted planks there'. 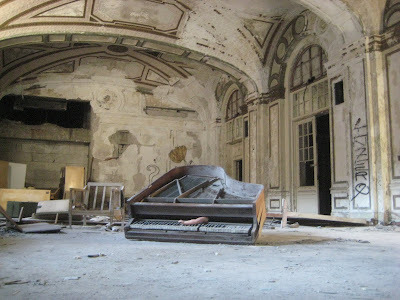 Even the Packard Car plant, that has been abandoned since the sixties, offered real interesting pieces of wood: the floors are covered in oak: the cars used to be driven over it IN the plant. ' And the administrative offices all had oak panelling. Most of it is still there', Kraaijeveld explains. 'Not all......., I took a few pieces'. Friday is the last day of wood salvaging for Kraaijeveld, then the next quest is how to get it shipped to the Netherlands. 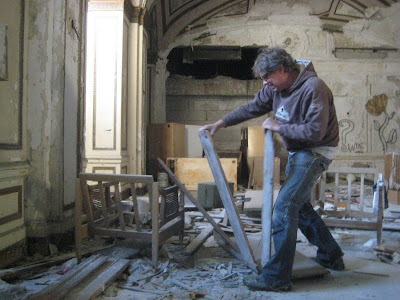 Dutch artist Diederick Kraaijeveld will be in Detroit for a week to salvage colored wood from abandoned buildings in the Detroit area. 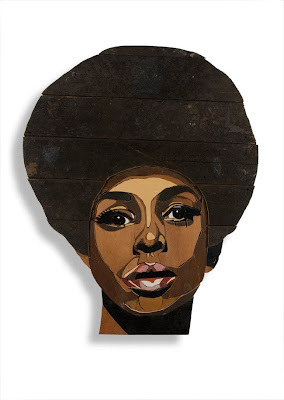 Kraaijeveld builds monumental modern icons out of used wood in its original colors. 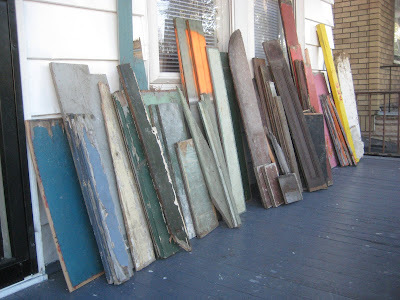 He finds his wood in dumpsters, old buoildings, city dumps and along the shores all over the world. And now in Detroit MI. 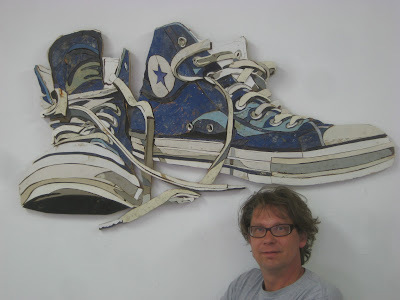 He will build three ´Icons of Hope´ with the Detroit wood, back in his studio in Holland. The pieces will be exhibited in 2010 and then sold. 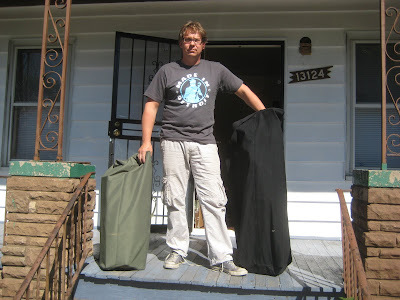 All the proceedings will return to the Detroit Unreal Estate Project. For Kraaijeveld, it will be an inspiring adventure to hunt for wood in Detroit. ´And it feels good to help the Detroit community as a thank you for that adventure´. Grace Lee Boggs invites us to the second US Social Forum in Detroit, June 22-26, 2010, to help build greenhouses. Gardens, bicycles and poetry. Yes. Detroit Unreal Estate Agency's members produce, collect and inventory information on the ‘unreal estate’ of Detroit: that is, on the remarkable, distinct, characteristic or subjectively significant sites of urban culture. The agency is aimed at new types of urban practices (architecturally, artistically, institutionally, everyday life, etc) that came into existence, creating a new value system in Detroit. The project is an initiative by architects Andrew Herscher and Mireille Roddier, curator Femke Lutgerink and Partizan Publik's Christian Ernsten and Joost Janmaat. In collaboration with the Dutch Art Institute and the University of Michigan, generously funded by the Mondriaan Foundation and Fonds BKVB.